Okay, let me start by saying that this is not about what the U.S. or any other country should do about the Syrian refugee crisis. It’s a complex issue that has a complex answer, and I am just a simple science teacher whose opinion really can’t sway anyone, and I don’t have any answers anyway. However, in processing the whole thing in my own head, I am struck by a metaphor that I wanted to share. The refugees as a group are lost, scared, and without a place to shelter. They are looking to leave behind them a place of brokenness, sadness, danger. It is a place that they realize is no longer home to them. They are looking for hope, and they looking for a fresh start. However, hidden amongst them is perhaps an an element of evil, individuals who could use the granted asylum to penetrate the defenses of a well meaning nation. Opening our country makes us vulnerable. There is risk. There is no guarantee that our good will while saving many wouldn’t be abused by a small fraction. Here’s the metaphor that I just can’t shake. When I first approached Christ as my Savior, I was lost. I was scared. I was without a shelter. I was looking to leave behind a place of brokenness, sadness, and danger, a place not home to me. I was looking for hope and a fresh start. And, hidden deep in my heart, is an element of darkness. I hope I would never be capable of the kind of violence that we have seen in our world of late. But though I might never murder, Jesus himself tells us, You have heard that it was said to the people long ago, ‘You shall not murder, and anyone who murders will be subject to judgment.’ But I tell you that anyone who is angry with a brother or sister will be subject to judgment. Be angry with my brother or sister? Uh-oh. Use sharp, cutting words that wound hearts and spirits? Not good. Do I unfairly pass judgement? Do I reject? Do I exclude? Do I boast? Do I gloat? Do I covet? Do I contain some element that will wreak havoc somewhere to someone? I did, and I do. Be assured, I do. As I said, I have no answers for the complicated problem of refugees. It is a complicated problem with complicated answers. What I do know is this: I was lost and broken and a little bit dangerous. With full knowledge and understanding of who I am, I was taken in. 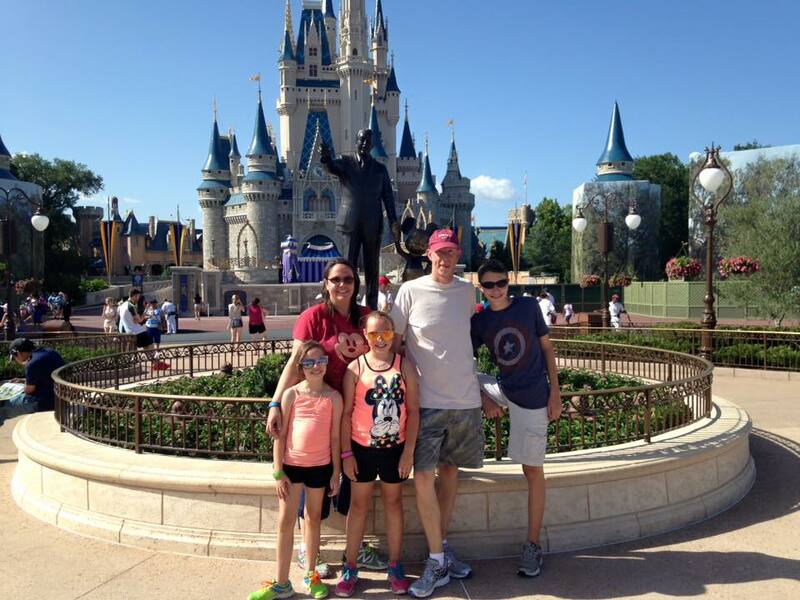 This summer my family and I had the dubious honor of being at Disney World one week before they banned the use of selfie sticks. It was a good move by Disney. There were times in the parks that we couldn’t move because of all the selfie action. People were standing in two hour long lines to get a selfie with some of the characters. To be fair, I admit that I did take a fair number of pictures. But I was struck more than once by the idea that people were so intent on documenting their amazing adventure that they were actually missing out on experiencing it. Fast forward a couple weeks into the summer. We are back from Florida; it is hot; I am bored and would like to do something productive with my summer, and I think about the pictures I took. Well, then I start thinking about the pictures I took in 2009- on my family’s FIRST trip to Disney. I had bought a scrapbook, cute Disney stickers, awesome crafty Disney stuff to make the perfect scrapbook of our perfect trip to Disney. Then a bunch of stuff happened and I never got that scrapbook made (does that sound familiar to anyone?). So how could I possibly tackle our 2015 Disney trip photos if the 2009 photos weren’t done properly? I had frequently wanted to take them all out and make an awesome scrapbook, but you know what held me back? 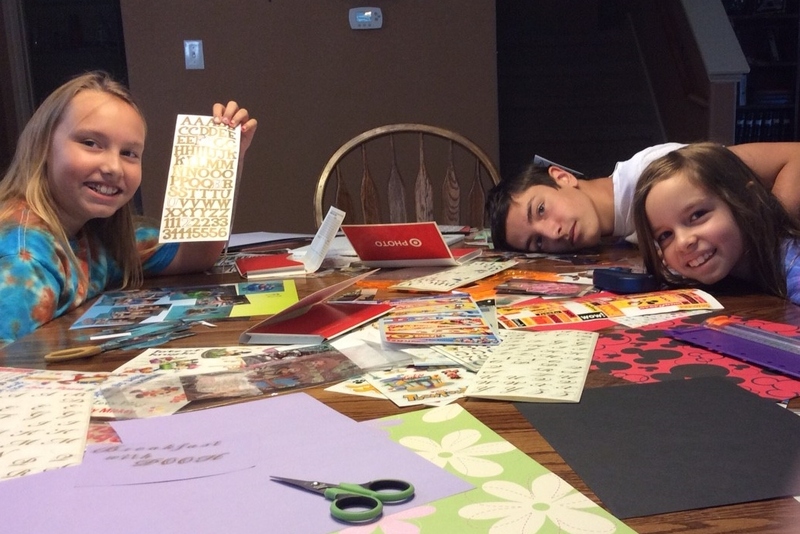 I knew if I took out all the stuff to make the scrapbook, my kids would be all up in my business wanting to help. And let’s face it, their pages would not be precious like my pages would! How could I possibly deal with their imperfect handling of my perfect Disney trip!? Then I remembered the selfie stick ban. I remembered thinking that people were working too hard at getting the perfect shot and completely losing sight of enjoying the moment itself. 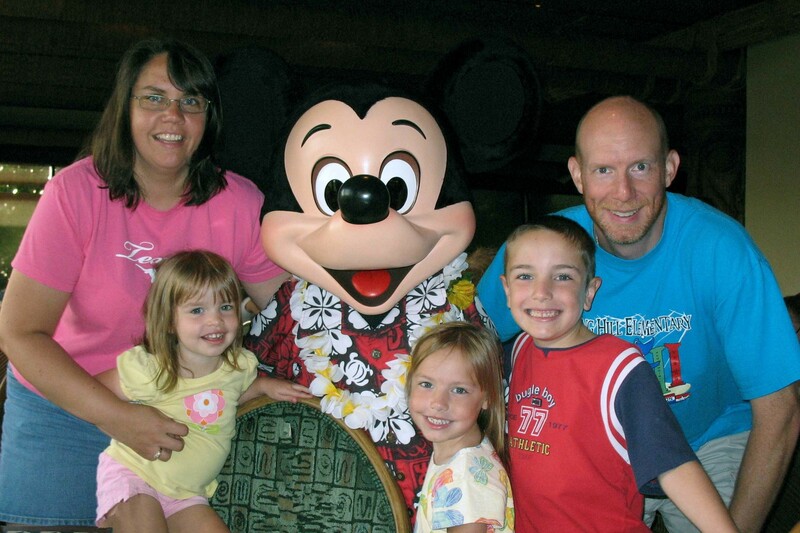 Our 2009 trip to Disney wasn’t perfect, anyway. My kids were 2, 5, and 6. Naps were missed. There was crying. One of them “un”-potty trained herself because those self-flushing toilets scared her so bad. We didn’t get to ride any of the big rides because the trip was about our little family, not our big family. And yet despite all this imperfection, the trip was glorious. We met Minnie Mouse. And Lilo and Stitch. We witnessed magic and wonder and laughter and fun, and we did it together as a family. The trip was glorious because it wasn’t my trip- it was OUR trip. With that thought in mind, I took out all the photos and craft papers and stickers and laid it all on the kitchen table one morning. The kids and I spent all day making pages, laughing, and remembering. The pages are cute, but not perfect. But those pages are OURS, and represent the togetherness that it took to make the memories. And now we also have the memory of the day we made that book- together. I wish the local church knew that it was not Jesus. Why would I think the local church might believe that it was Jesus? Mostly because a lot of the time it acts like it thinks it is Jesus. We think we are Jesus when we throw stones. 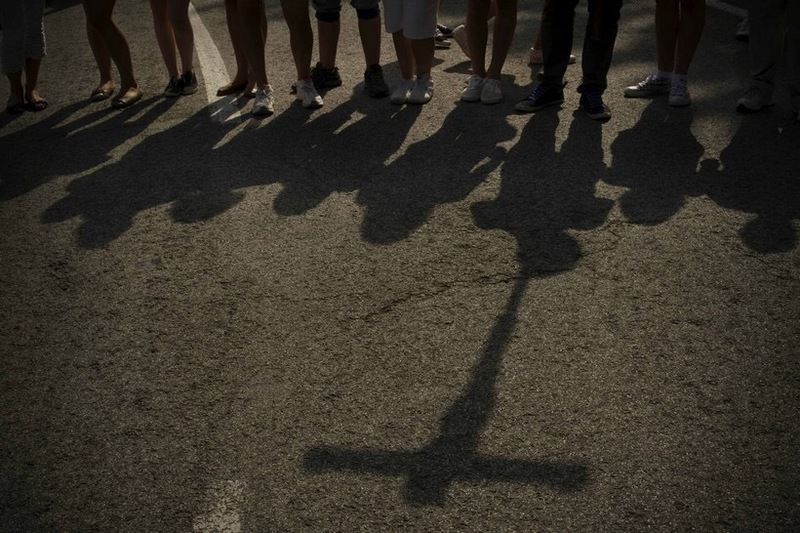 In the public trial of the adulterous woman, Jesus said “Let he who is without sin cast the first stone.” Cue everyone to drop their stones and walk away. The only one there qualified to throw a stone was Jesus, because He was the only one who was without sin. So when we, the church, condemn someone for their sin, we are chucking a rock that we are not really qualified to chuck. And for those of you who like to cry “but then He told her go and sin no more!” Yes, he did. Jesus is like that. He brings change to hearts that need changing. He sure did it for me. But remember, church, we are not Jesus. We aren’t the ones changing the hearts. The lost world is lost. Why are we surprised that they act that way? Which brings me to my next point. We think we are Jesus when we decide who does and doesn’t understand things that are Spirit-discerned. Paul said in 1 Corinthians “But a natural man does not accept the things of the Spirit of God, for they are foolishness to him; and he cannot understand them, because they are spiritually appraised.“ In plain language, this says that if someone is a “natural man” (not a Christian benefited with the Holy Spirit), they cannot understand the things that a Spirit-filled person can. Our bible may be complete foolishness to the natural man, lacking any credibility. This cannot be changed without the Spirit, which may sound like more foolishness to him. Conversely, that Spirit may be hard at work within that natural man. Let’s let Jesus understand the workings of a person’s heart, and not assume we do. So we need to be careful about taking too much responsibility, which is next. We think we are Jesus when we pretend to be perfect. Jesus is perfect. We are not. Pretending we are hurts those outside of the church because we look like a bunch of hypocrites (because they have figured out that we are actually NOT perfect. Gasp! What gave us away?) Perhaps as damaging, though, is the false perfection we portray within the church. Here is a secret for those of you outside the church: we on the inside are just as broken, wounded, and guilty as those on the outside. But the inside is better. That’s what we need you to know. On the inside you figure out how to become unbroken, healed, and made new. It’s Jesus. It’s His love. He makes us all whole and new. But inside the church, we sometimes act as if we are not all coming from the same broken place. We act as if we were never broken in the first place, and that isolates those who still need more healing. They feel alone. It also robs Jesus of His glory. He DID fix us. We are not in the church because we are awesome. We are in the church because God loves us and made us whole. He loves those outside of it, too, which is why we can never give up. We think we are Jesus when we think we know who will love Him and who will reject Him. No one is beyond hope. God’s grace is for everyone. Not all will receive it, but we don’t get to decide if someone might or might not. That is a dangerous, arrogant position. We don’t get to decide who is or is not worthy of his grace, and we don’t get to decide who is going to be reconciled with God. Therefore we never get to give up and decide that this world is just too tough and too hard and too lost. We are not Jesus. We don’t know. Keep praying. Keep telling. Keep hoping. That is obedience. So, local church: We are not Jesus. We are His imperfect church, His beloved children. What can we do in light of this? Love God imperfectly but yearn for His perfection. Love your neighbor imperfectly but yearn for His perfection. Live your life imperfectly but yearn for His perfection. In the end He will make you perfect. It’s what He does. This is Mike from your first period class. I am the on on the lacrosse team, and I sit in the second row. I am really struggling to make a good grade in chemistry. It seems like no matter how hard I try, or how many times I come in for help, I still don’t do well on the tests. I am thinking about giving up and dropping your class. It has been years since I got this email, but it still breaks my heart. Why? Because this kid wasn’t even sure I knew who he was. But I did know exactly who he was. I knew he worked hard to barely get a B, even though he had the effort to merit an A. I knew he took great notes, did all his homework, and came in for extra help. And yet he still barely hit a mid-C on each test. He was doing all the right things, but chemistry was still hard. I knew him, and I saw his struggle. I see all my students. I see the ones who work hard and still struggle, I see the ones who don’t work hard and manage to get A’s. I see the ones that succeed and cheer them on. I see the ones who don’t do the work, but cannot make the connection between that behavior and their lack of success (those ones drive me a little nuts). But I see them all, and honestly, and have great affection for them even in their struggle. But God sees us. He sees those of us who struggle and strain even though we are doing all the right things, and fortifies us through it. He sees us in the midst of our joy because He is the source of it. He sees us when we are suffering because of our own bad choices and loves us regardless, and waits for our return. But He sees us. He knows our successes and failures, whether they be our fault or out of our control. God sees you. He knows your struggle. He knows the good and the bad about you. He sees you, and He loves you. I want you to imagine a baby elephant at a circus. Got it? Okay. 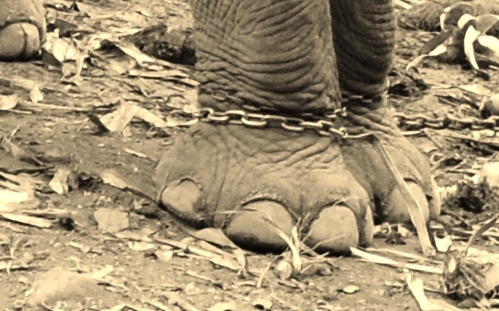 When a new baby elephant is brought into the circus, it has a heavy iron shackle attached to its leg, and that shackle is attached by a chain to a long iron peg that is driven deep into the ground. For a time, our baby will pull and strain to the point of injuring itself to get free. Then, with the help of the trainer’s crop, it will learn that it is hopeless to fight. Hope will be driven out. Our poor baby elephant is a captive. Our baby elephant will learn the lesson so well that when it is grown, it will not even need to be shackled. A simple rope with a short wooden peg in the ground will be sufficient to keep it captive. That baby will have grown up into a massive, powerful beast, but it will still be held captive not truly by a flimsy rope and a peg, but by its own belief that it is trapped. It is held captive by its own belief that it is still weak and small. It is held captive by its own lack of hope. Then, something might happen. Lots of things can trigger it, but there may come a day for our elephant that it realizes that it is not small or weak. It will realize that it can no longer can be held by a rope and peg. It cannot even be held by a shackle and chain. And our baby, now massive and powerful, certainly cannot be stayed by the trainer’s measly crop anymore. This realization of freedom is a dangerous time for our elephant. When that shackled strength is loosed, the captive can turn on its captor. Years of being held can spark a rage in our elephant that will be hard to deny. Here’s what is important for our elephant to know. Elephant, you are free. Free. There is no more shackle. No more chain. That trainer’s crop can’t hurt you. You are big and powerful and can’t be hurt anymore. That is, unless, Baby, you decide to be a captive of your own anger and rage. The shackle is gone, Baby, and you are FREE to walk away and be rid of your chains. Or, sweet Baby, you can choose a new set of chains: you can choose to stay at the circus of your own anger and hurt. You can be your own main event. Don’t mistake this for freedom, Baby Elephant. You are free, you big, strong Baby Elephant. Walk away from the circus. Choose freedom. Choose hope. 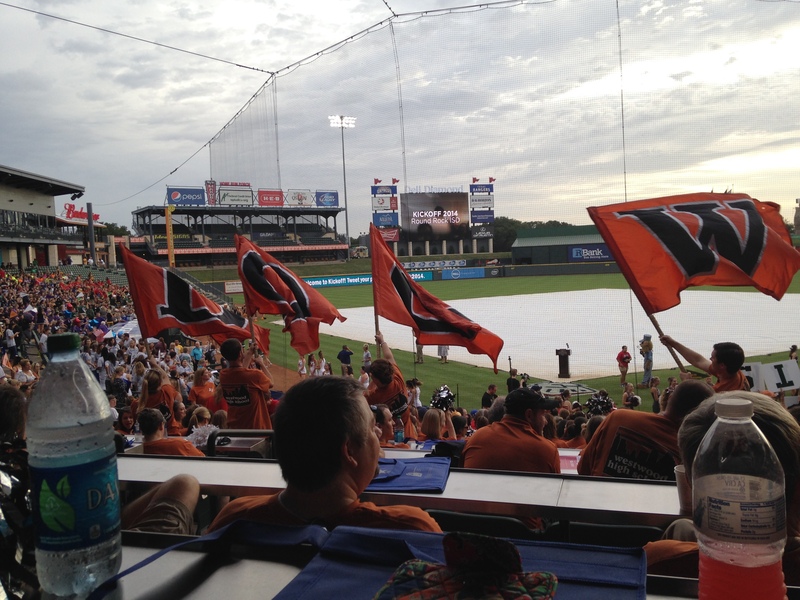 Tuesday morning, I sat with six thousand other Round Rock ISD educators in Round Rock’s Dell Diamond baseball stadium, participating in the school district’s annual convocation. This is an event at the beginning of the teacher prep week before the start of school where a school district brings together all of its teachers in one place at one time to officially welcome them, inspire them, and kickoff the school year. It was an event kind of like a big pep rally, with each school dressed in its colors, lots of cheering and high energy, speeches and well-wishes. About halfway through, the Canyon Vista Middle School choir came out to sing for us. I can only imagine how intimidating it must have been for this group of twenty or so thirteen year olds, standing about where the catcher and umpire would be on this minor league field, facing backward into the crowd. As you might guess, they started out a little timid and subdued. I have spoken to a crowd of a couple hundred before, and it is nerve-wracking for a seasoned speaker like me. But six thousand people? Even I would have been shaking. They didn’t need to be worried, though. It wasn’t just a crowd of six thousand people. This was a crowd of six thousand teachers. This was a crowd of six thousand whose job and calling was to encourage and cheer on students. The choir’s lack of confidence quickly stirred something amongst our ranks. Slowly, one by one, the teachers from Canyon Vista began to rise and clap along with their campus’ students. Then, across the stadium, a few at a time, teachers stood to clap along and sway with their beat. Before long, the entire stadium full of people was on their feet clapping along. As this was happening, the choir was transformed. With the crowd encouragement and involvement, they became louder, more confident and more animated. Smiles and emotion appeared on their faces as they poured themselves into the performance. They finished triumphantly, to loud, long applause. Even as it happened, I realized that I was witnessing a metaphor for teaching. This is what good teachers do. Sure, we impart knowledge, we teach skills, but in reality, a teacher is only successful if we are able to connect with our students. We support, we cajole, we encourage, we scold, we lecture, we push, we persuade, we prompt, we coax, we drag, we stand on our heads– in short we do anything we can to motivate our students to believe that they are capable. And then, when they bravely commit to trying something that they have never done before- be it fractions, performing in a play, or a spelling test- we stand and cheer and let them know how absolutely delighted we are by their success, no matter how small, because students need this beyond any academic knowledge that we might impart to them. Students need to know that we believe in them, we are proud of them, and that we knew they could do it all along. And so to the students, welcome to the school year! We are your teachers, and we are already on our feet cheering for you! Have a fantastic year! You may have been to a women’s event to hear me speak, and you might have been at the session where I have what I call the Pre-emptive Kleenex. It is a session when I share about the death of my brother Steve, a topic that is still tender years after his passing, and will likely be tender forever- or at least until we meet again. And at the beginning of the session, I hold it up and I give everyone a warning: ‘Ladies, this is my Pre-emptive Kleenex. I put it here so that maybe I won’t need it. But I want to warn you that I might need it because I am a crier.’ (Then I ask if there are any other criers in the room, and half the hands go up and we have a moment of laughter and solidarity for the Sisterhood of the Kleenex and that those in the Sisterhood never let a sister cry alone!) I go on to explain that I used to think that tears were a sign of weakness, and that I was a crier that grew up in a family of non-criers, and it was hard to be the weak one. It was when I was engaged to the strongest man that I know that I changed my mind about tears. One time he was describing something about his father to me- his father who he had lost when he was just a young boy. As he spoke tears began to roll slowly down his cheeks. He apologized and wiped them away, but in that moment, I had a realization. His tears were not weak. His tears were a tribute. The memory of his father was worthy of those tears. And my tears did not make me weak, either. I cry because I am sad, because I am happy, because I love, because I am stubborn, because I am proud of my kids, because I witness something truly beautiful, and a lot of other reasons. But I don’t cry because I am weak. I cry because something is important enough to be worthy of my tears. I cry because something matters. Each tear entered in your ledger, each ache written in your book. And finally, this lovely promise from Revelation 21:4- He will wipe every tear from their eyes. There will be no more death or mourning or crying or pain, for the old order of things has passed away. You see, God understands the truth about tears, too.